This non-fiction effort is the first of several inquiries into American colonial and early national thought—with a focus on Jeffersonian democracy. 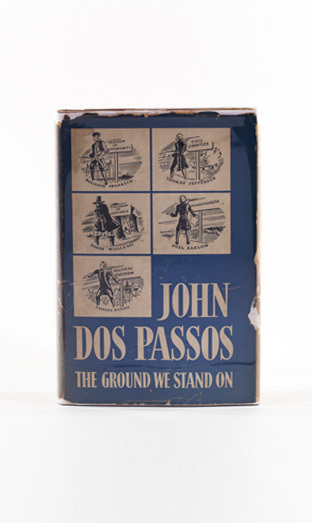 Disillusioned by European political authoritarianism—under the guises of socialism, communism, and fascism—Dos Passos finds comfort and wisdom in the American democratic tradition in its earliest iterations. The Ground We Stand On profiles several influential early Americans: Thomas Jefferson, Joel Barlow, Benjamin Franklin, Samuel Adams, and Hugh Henry Brackenridge.